With the new season comes new goals, new diets, and new wardrobes. Doing a massive deep cleaning/organizing always helps to clear the mind and get ready for what lies ahead. So blast the latest Ed Sheeran and make a strong pot of coffee and get cleaning! 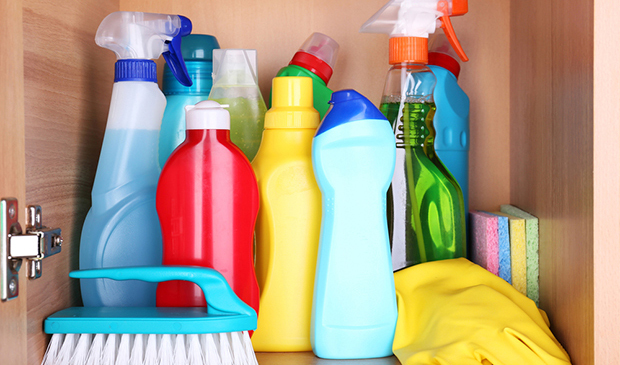 Here are some helpful tips on what to do during your spring cleaning that will leave you feeling relieved and relaxed. The bedroom holds most of your personal items – the closet and dressers being the focal point. Haven’t worn it in a year? Just get rid of it! That sweater that has gone through the wash more than you’ve gone to the gym in the last 6 months has got to go too. Organize the clothes in the closet in a way that makes everything easy to grab – I like to do it by sleeve length or color. Go through your drawers and wipe down the insides before refolding and organizing its contents. Make sure you clean under the bed too – dust builds up there daily and can be the reason for that stuffy nose. Go through the fridge and pantry and check expiration dates – I’m sure you’ll have more than one thing to clear out. Take everything out of the fridge and do a thorough wipe-down with Clorox wipes before putting everything back. Wipe down the inside and outside of the microwave – there’s still some of your pizza explosion from 2 AM on the night of St. Patrick’s Day. Throw out ALL of that Tupperware. You were getting to have too much anyway – and they are meant to be thrown out after a few month’s use! Spend the money to have someone come in and professionally clean the couch. It’s worth it! You’ll feel like you bought a brand new couch – plus the couch is one of the top germ-infested places in the house. Make sure you wash all of the blankets you keep in the living room too. Dust the TV and wipe down the screen, you’ll be suprised how much dust builds up near it. Get rid of those DVD’s (and if you still have any VHS’s I shouldn’t even have to tell you). Get rid of any old magazines. That copy of Vogue with Kendall Jenner on the cover from April 2016 has got to go. Clean out the medicine cabinet and get rid of expired medications and products – or products you simply are not using anymore. Remove all of the items and scrub the shelves in the cabinet before placing back. Wash the rugs, shower curtain, and all towels. Buy a new plastic lining (these should be replaced every so often) and scrub the tub and floors! Don’t forget to vacumn, scrub, mop, swiffer or whatever to all of the floors for the final touch. There’s nothing like the feeling after you get after spring cleaning is done. Time to celebrate with a glass of well deserved wine! This entry was posted in Lifestyle, Uncategorized and tagged Organizing, spring, Spring Cleaning, Wicked Wine. Bookmark the permalink. ← We’re Expanding Our Line! What Should We Add?